For this new series entitled “Losing the Lamanites,” we interview Mormons from Central and South America, Native Americans, and Pacific Islanders — with the intent of exploring their faith transitions, and focusing (where relevant) particularly on their thoughts and feelings around having been handed the now questionable “Lamanite” identity. Vania’s upbringing in the LDS Church in Brazil, and her desire to serve an LDS mission. Vania’s thoughts about the label of “Lamanite,” how she never felt it applied to her, and why. 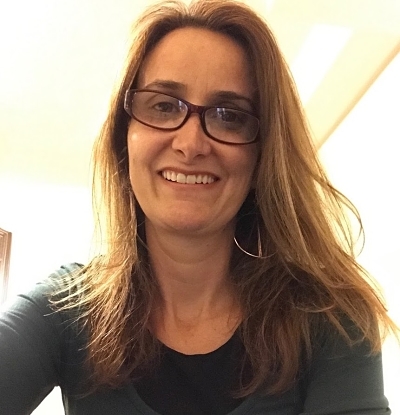 Her first marriage, life as a Brazilian true-believing Mormon, and her subsequent divorce. Her immigration to the United States America in search of a new life for herself and her children, cleaning homes in Sandy/Draper, after working as a manager in Brazil. The cultural differences of the LDS Church in Brazil vs. in Utah. Her 2nd marriage to a true-believing LDS church member. How her ongoing struggles with Mormon perfectionism, anxiety, depression, and suicidality were resolved in conjunction with her Mormon faith crisis. How Vania and her believing husband make their mixed-faith marriage work today. I appreciate Vania’s perspective. My wife, a latina, has not had the universal good vibes from American Mormon’s here in Utah that she has had. Perhaps it has to do with the specific places we have lived in. Excellent interview!! Loved it! Thanks you Vania. Vania, if you happen to read these, I’m wondering, during your depression phase in Utah, how much of your “perfectionism” angst and depression was related to the pervasive and overwhelming Mormon emphasis on “worthiness”? Or was it more that you had you’re own impossibly high internal standard of perfectionism in general, not so much related to church “worthiness”? Really enjoyed and appreciated your story and happy you came out on top. Best wishes in your family and marriage, with your children, and in life. Obrigada Vania! Wonderful podcast. I wish you success in reaching the Portuguese-speaking people who did not have access to the information they should have had. I hope Mormon Stories is able to get interviews with people on other continents – like Africa – who also think American must be better because of TV and movies and brands. To be fair to the given context of this series of “Losing the Lamanites”, Vania’s interview didn’t quite fit. Notwithstanding the miscategorization, it was a wonderful story to be told . I’m glad Vania is out there spreading truth in Portuguese to all the IRMÃOS SUD in Brasil, hopefully to a few of them I taught/baptized. Wouldn’t it be nice to recant all my misinformed Mormon apologetics I got so good at telling on my mission there!? But such is life. One thing I felt really important to add to this episode that got skipped over was a greater explanation about “lamanites” in Brasil. Brasil is predominantly “white” as far as ethnicity, but just slightly greater than what many Brazilians refer to as “mestiço”, a sort of mixed race. The term “pardo” might be used as well to describe someone who shares a mixed ethnicity, commonly including some European, some Blacks (African) and/or some native DNA. This would be the ethnic group in a close 2nd place to white. It’s important to remember that Europeans colonized Brasil (and introduced Black slavery) but there were natives already present. These natives (Amerindians, or simply “índios” as they’re called in Brasil) would be the supposed lamanite descendants. I had a companion (from the Amazon) and knew others from my mission that were 100% Amerindian. They most definitely “knew” they were the descendants spoken of in the Book of Mormon that would come forth in the latter days. My companion respectfully/playfully reminded me from time to time that I (white boy from Utah) was the one who had to be adopted into the House of Isreal. Obrigado Vania. As someone who served a mission in Brazil 20 years ago, I can’t tell you how nice it was to hear you explain the way I feel today about the church in Portuguese. The programming of the church runs deep, and because my experiences in Brazil were all church related, it’s hard for me to separate the two in my mind. The last 5 minutes of this interview did wonders for my soul. Does anybody know if the Gospel Topics Essays are even available to these other countries? I tried to find them on the Brazilian church website, but I wasn’t able to find them. It is possible that my portugues has gotten that bad over the years… Or maybe they really aren’t available. In the http://investigacoessud.blogspot.com.br/, sometimes is necessary to click “play” on the column on the left, to access the menu.